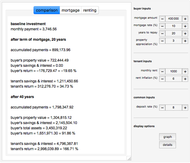 Investment returns from a 100% mortgage are compared against those from renting and saving. 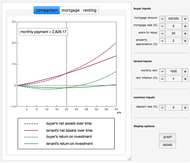 The comparison assumes the use of equivalent capital in each case and shows the effects of interest rate and inflation scenarios. 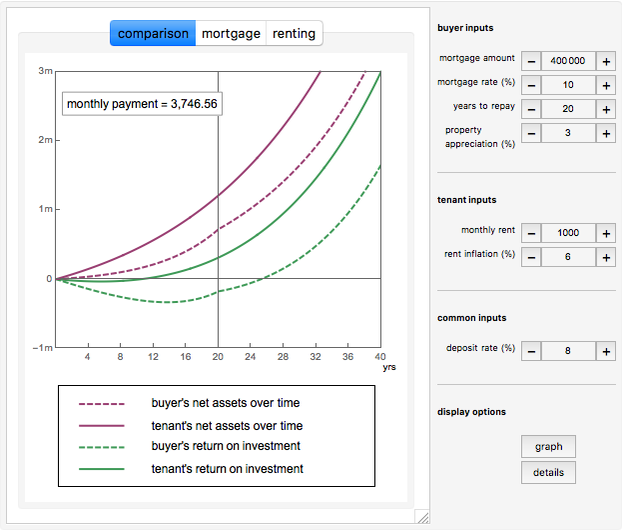 In this Demonstration, the property buyer's return is calculated as the paid-down appreciation, less mortgage interest, plus savings interest. Paid-down appreciation means the appreciation on the portion of the property that has been paid for in the mortgage. 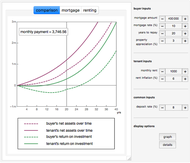 The buyer's savings and savings interest start to accrue only after the mortgage has been fully paid down, and the Demonstration extends to show this period. 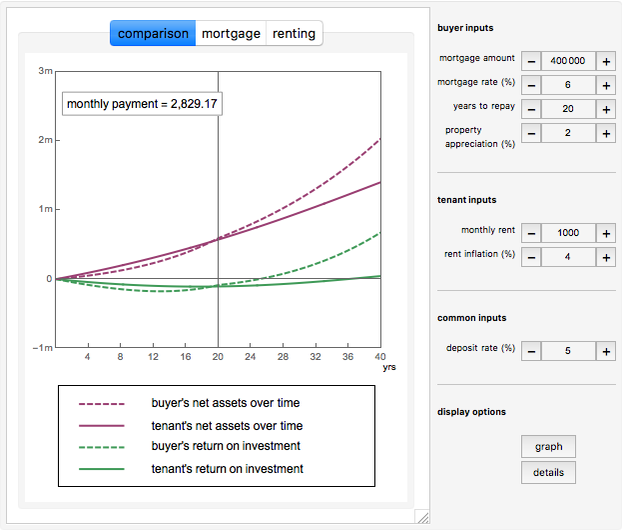 The tenant's return is calculated as savings interest less rent. APR is used according to the EU formulation. That is, , where (months) and is the number of years. 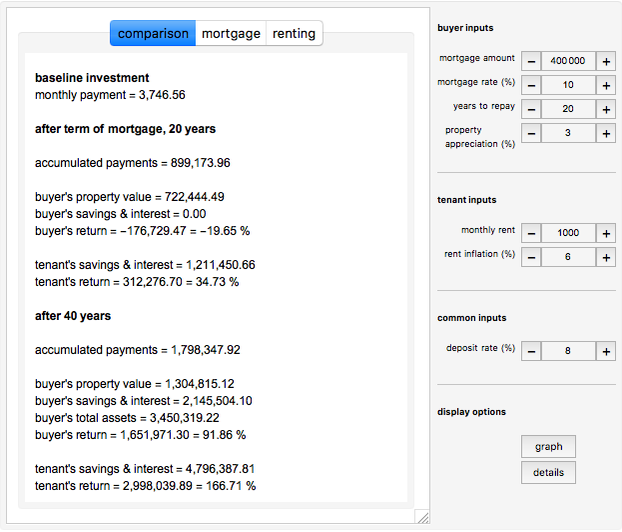 Chris Degnen "Buy or Rent Investment Return Calculator"